Advantages: One major advantage of the push back racking system is that there is no limit in pallet depth, enabling high density storage approach. Forklift are required for the initial loading and unloading. 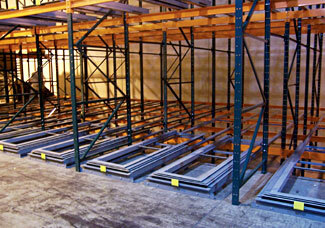 Shelf Master’s push back racking offers low profile push back carts.